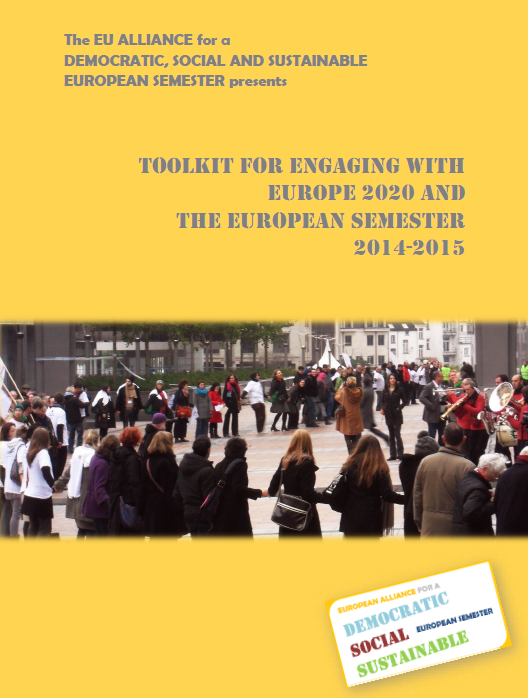 Translations of the Semester Alliance Toolkit for Engaging in Europe 2020 and the European Semester are now available! Translations of the EU Semester Alliance Toolkit for Engaging in Europe 2020 and the European Semester and of its Annex 4 (Glossary of terms and acronyms) in Finnish, French, German, Spanish, Italian and Hungarian are now available! Aimed at the national members of the European organisations which constitute the Semester Alliance, it is designed to support them in engaging with Europe 2020 and the European Semester, including the upcoming Mid-Term Review. It provides to-the-point information about the processes and the opportunities for engagement, by clarifying the key elements, timeline, and strategic actors of the new process, as well as giving links and suggesting different ways of involvement. The main toolkit is accompanied by 5 helpful annexes. This Toolkit and its annexes were first published in English in July 2014.